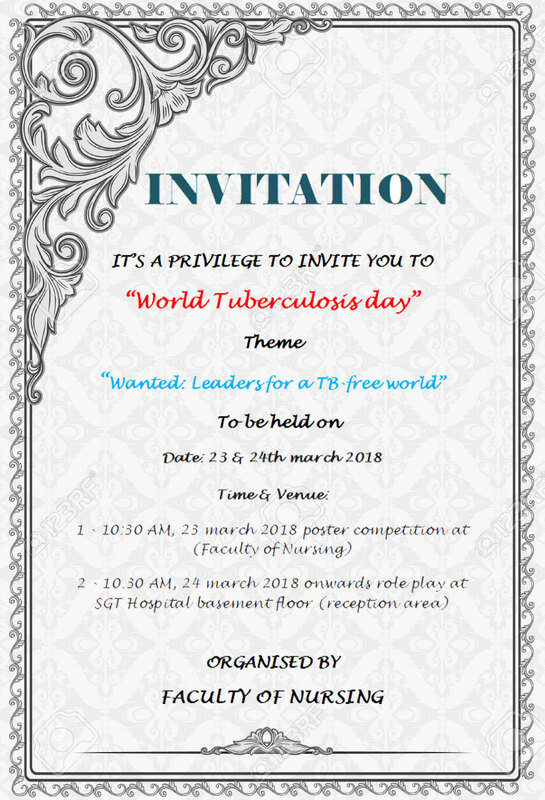 SGT University’s’ Faculty of Nursing’ organised ‘World Tuberculosis Day on March 23 and 24, 2018. A poster making competition and role play took place at the SGT hospital basement floor, in this event. The participants actively took part. It was a small step initiated by SGTU’s Faculty of Nursing in combating the dangerous ailment called ‘Tuberculosis’.